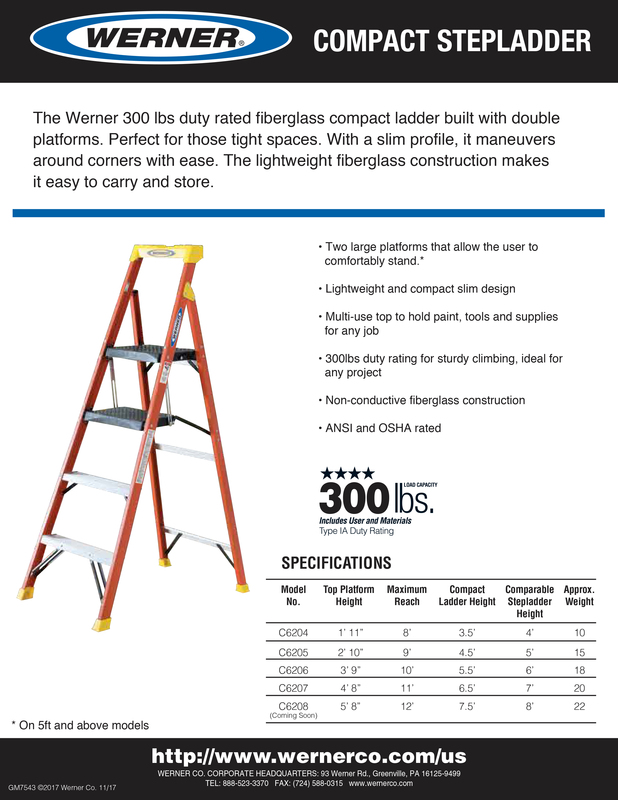 Werner C6200 Series Compact Fiberglass Stepladder / 300 lb. Rating - Industrial Ladder & Supply Co., Inc. 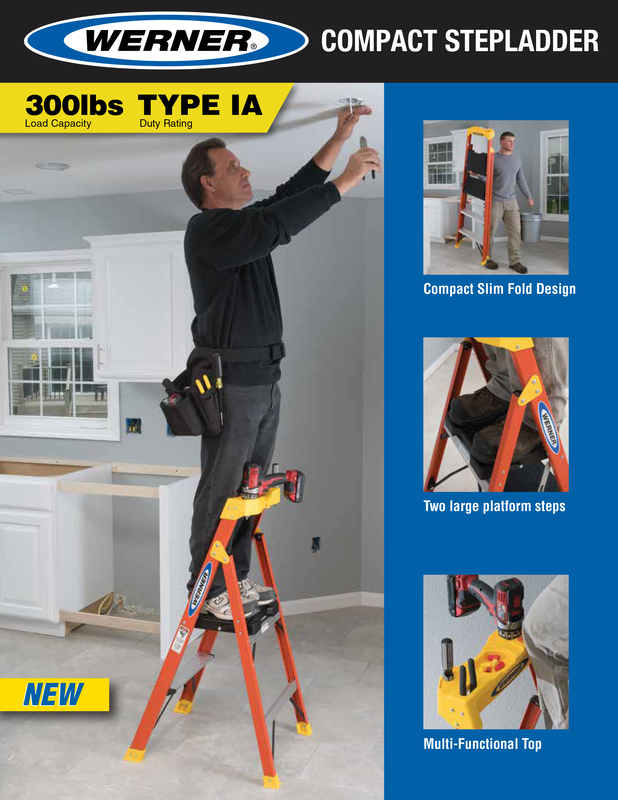 The Werner 300 lbs duty rated fiberglass compact ladder built with double platforms. Perfect for those tight spaces. With a slim profile, it maneuvers around corners with ease. The lightweight fiberglass construction makes it easy to carry and store.